Best Musical Tony Nominations 2015 | All Tickets Inc. 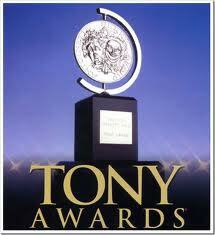 The Tony nominees for Best Musical have something in common that is quite unusual. That is they are all still running on Broadway. Often at least on of those musicals nominated will have closed by the time the awards roll around, but this year they are all up and on the boards. It’s an interesting and diverse group that’s on-hand for the 2015 awards. Here’s a look at each one. Based on the magnificent film of the same title, the stage version of An American in Paris has captured reviewers and audiences alike. The musical features a book by Craig Lucas, in which he has reworked the story significantly without losing the romantic charm of the original. The music is by George Gershwin and the lyrics by Ira Gershwin. The direction and chorography, both of which are stellar, are by Christopher Wheeldon. Making his Broadway debut as Jerry Mulligan, Robert Fairchild has received rave reviews, and costar Leanne Cope, as Lise Dassin, has also received plaudits. Plus, the production values, including design elements, are outstanding. 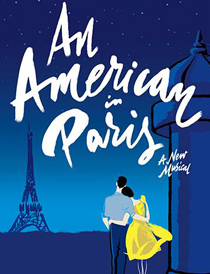 An American in Paris has been given 12 nominations. Of the four nominated shows, this may be the one that is most off the beaten path, but it is nonetheless a wondrous and inspiring musical about a daughter’s journey back home for her father’s funeral. The dad, who committed suicide, was a funeral director, who lived his life with a secret. Based on the graphic novel by Alison Bechdel, which Bechdel based on her own life, it features a book by Lisa Kron; music by Jeanine Tesori; and lyrics by Lisa Kron. The show is directed by Sam Gold and choreographed by Danny Mefford. The cast is first-rate and the staging and production values are premium. This is an insightful piece of work that deserves everyone’s attention. Fun Home also has a dozen Tony nods. If you’re interested in a resoundingly funny musical comedy about the creation of musical comedy in Shakespeare’s day then this musical from the co-director of The Book of Mormon and the producer of Avenue Q is for you. 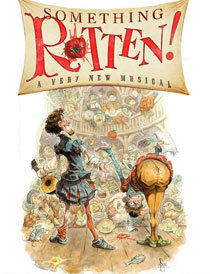 Totally entertaining and completely foolish, Something Rotten! is simply hilarious. The book is by Karey Kirkpatrick and John O’Farrell; music by Wayne Kirkpatrick and Karey Kirkpatrick and lyrics by Wayne Kirkpatrick and Karey Kirkpatrick. It’s directed and choreographed by the highly accomplished Casey Nicholaw. Something Rotten! 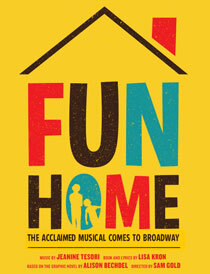 has garnered 10 Tony nominations. Based on the modern classic of the same name by Friedrich Dürrenmatt, The Visit tells the story of a woman’s return to her hometown from which she was driven in shame years before. The town is in economic despair and she is now a multimillionaire. She will help the town if they will help her get the revenge she seeks on the man who had forsaken her in her youth. 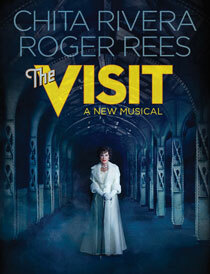 Starring Chita Rivera as Clair and Roger Rees as Anton, The Visit includes a book by Terrence McNally, music by John Kander, and lyrics by Fred Ebb. It’s ably directed by John Doyle and choreographed by Graciela Daniele. This is a haunting, mesmerizing theatrical event. It’s received 5 nominations. If your group is interested in purchasing tickets to the latest hit musicals on Broadway, including An American in Paris, Fun Home, Something Rotten!, and The Visit, contact All Tickets at 1-800-922-0716. We are presently offering an unparalleled and unique free ticket offer for groups that purchase their Broadway show tickets through our professional, fully licensed group ticket service. Contact us today!